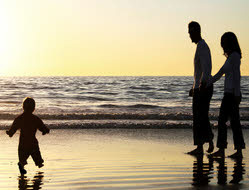 The Law Offices of Michelle Evans, provides comprehensive, individual, and affordable legal services to adoptive parents, adoption agencies, and birth parents in a professional and supportive environment, including international, domestic, special-needs, contested, interstate, stepparent, relative, and minority adoptions. If you have questions or need help with child adoption, family law, or other family- and child-related issues, we can help. We handle a wide range of adoption and assisted reproduction issues for individuals across California. We know the stress and anxiety that can accompany efforts to build a family. We put a high priority on personal service and attention, making certain that you always remain informed regarding the status of your case. Many people run into obstacles or have legal questions at different points throughout the adoption process. Adopting a child is a big step for an individual or family to take. The entire adoption process can take years and can be overwhelming and frustrating. However, adoption can be the best option for the child, the adoptive parents, and the child’s biological parents. There are 1.5 million adopted children in the United States, including children adopted directly from biological parents in the U.S., from international adoption agencies, from within a family, and from foster care. Welcoming your new child into a safe, loving home is the ultimate reward for your struggles. Adoption of a child by a step-parent or a grandparent or relative can be a difficult process, especially if it is opposed by a biological parent of the child. The courts must first determine that it is appropriate to terminate the parental rights of the biological parent before allowing the adoption to occur. A termination of parental rights motion is not something the court takes lightly, nor is it a simple process. If you are facing this situation from either the parent or the grandparent standpoint, you should seek legal advice before proceeding. If you are a military family considering adoption, there may be special circumstances and time may be of the essence. Contact us for a consultation before your living or placement situation changes. In many cases, we are able to complete an adoption even if a spouse has been deployed, and is currently not available in person during the process. If you have questions or you need legal representation in an adoption or termination of parental rights matter, please contact us to schedule a consultation. There is no commitment just to speak to an attorney, and discussions are always discrete and confidential. We have the legal knowledge and skill to assist you. To set up a consultation, contact us at 805-242-6270 or email our office.